This summer, Shannon Carney, the College's women's tennis coach, won singles and mixed doubles at the Dwight Davis Championships in St. Louis. To make the victory even sweeter for Principia, Carney's doubles partner was Terry McNabb, the Principia Upper School girl's assistant tennis coach. 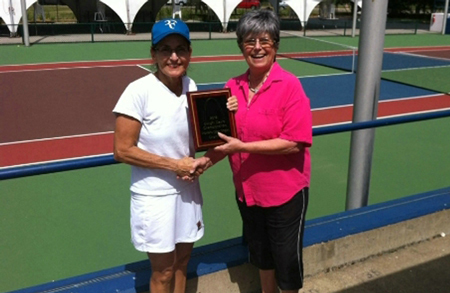 Read more and see a video from the doubles competition.